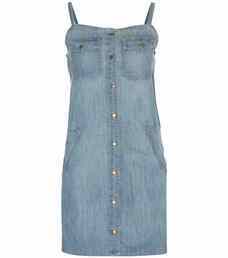 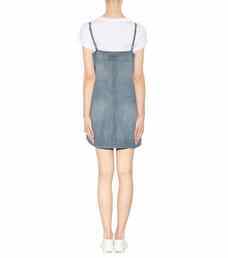 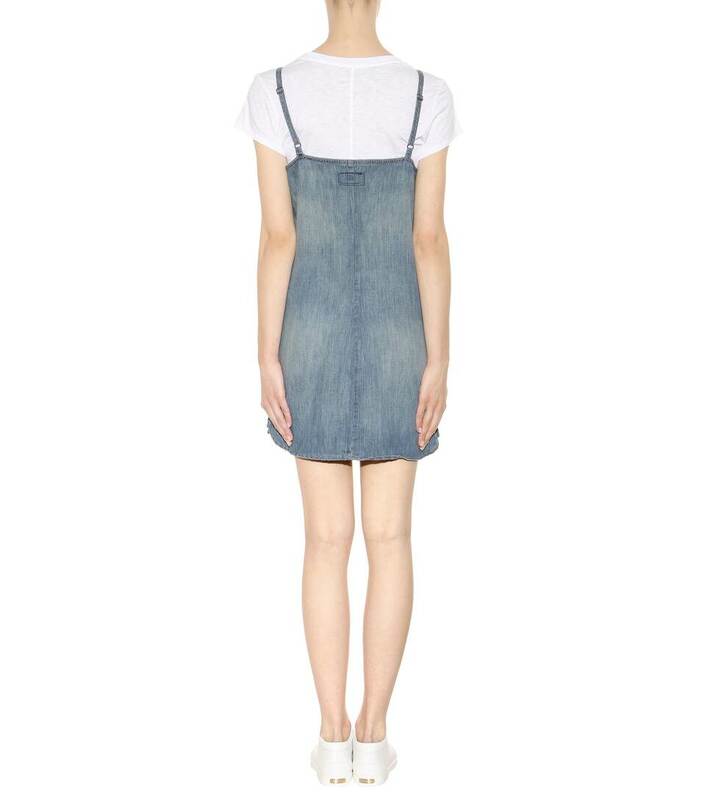 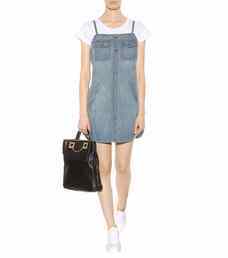 This denim dress embodies nineties summer vibes. 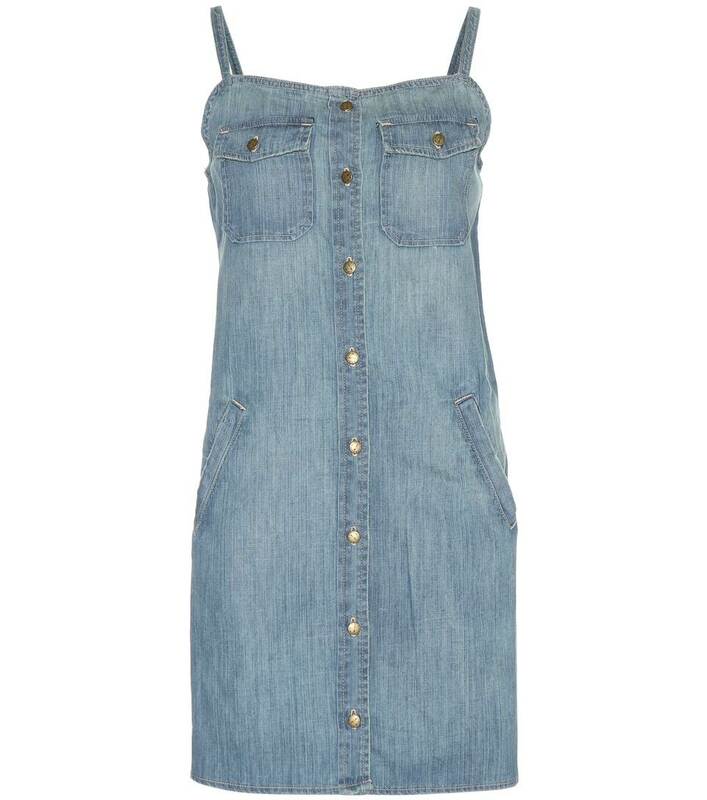 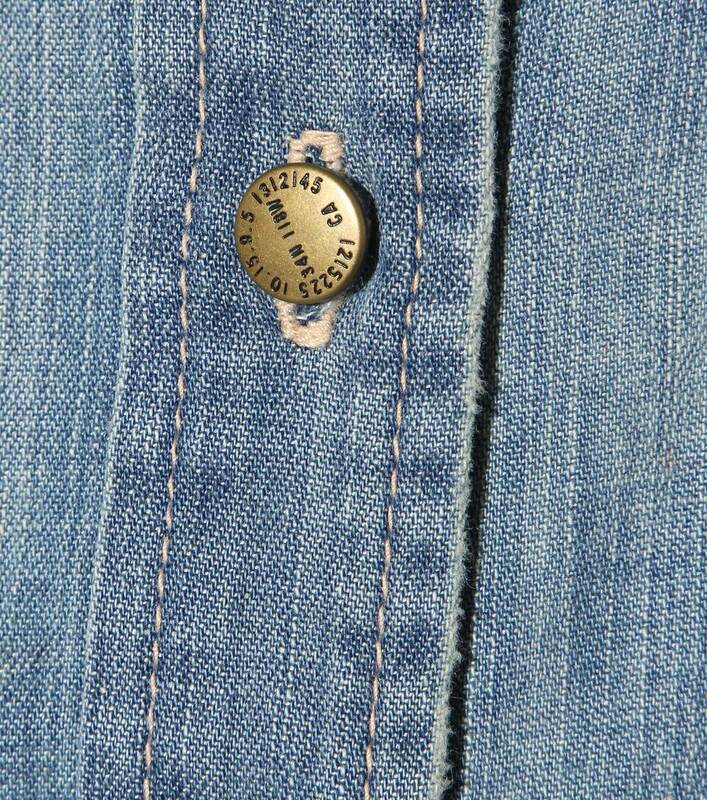 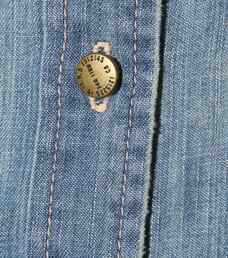 The metallic buttons stand out on the distressed denim, and we love the spaghetti straps. 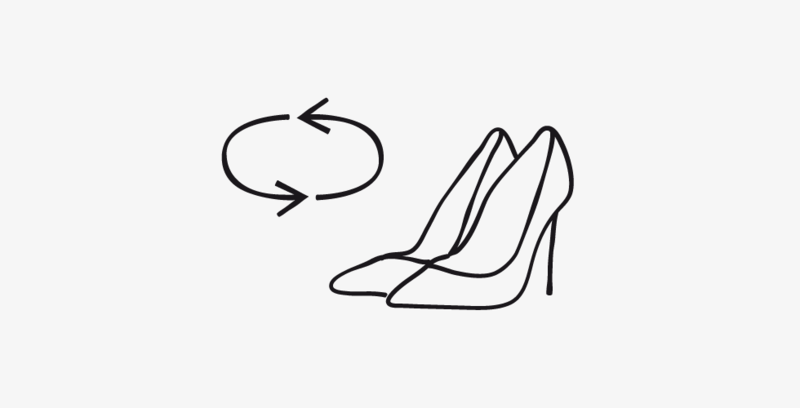 Pair with bright white sandals for a beach worthy look.